The answer to 'How much does retirment care cost' depends on the area you live in, the amenities and services included, and the type and amount of care that is required. 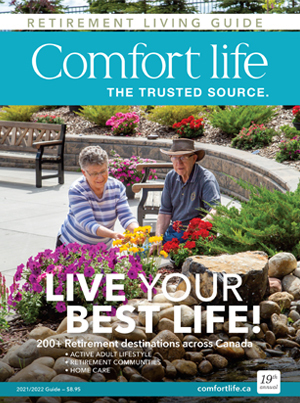 Most residents of retirement communities pay monthly rent for their accommodations. Sometimes this fee will include meals, phone, Internet, television, recreational activities and other amenities. In long-term care homes, most costs are included in one fee, however in more independent living retirement homes, extra care can be purchased as you need it. Download the Financing Your Retirement: Tips & Tricks You Should Know eBook for free for more in-depth information and insight on budgeting for your retirement. Across Canada, monthly fees range from approximately $1,300 to $6,000 per month, depending on the size and location of the accommodations, the type of community, and the quality and number of amenities. Referrals for government-funded home care and support services may be made by a family doctor, the senior themselves or family and friends with the senior’s knowledge and consent. The initial contact will result in the assignment of a case manager or care coordinator. Privately funded home care costs can range from $15 to $75 per hour, depending on the type of service being provided. The senior or their family usually arranges these services privately. Not sure if home care is the right option for you or your parents as you age? 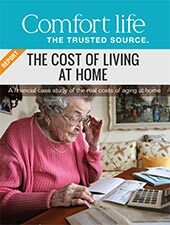 This article Is Home Care Right for You? will help you decide. Support services for seniors include privately funded support from agencies and community funded support from provincial, municipal and non-profit organizations to help seniors stay as independent as possible. Services can be medical or non-medical and can range from physiotherapy to respite care and from home maintenance to hairdressing. Community-funded support fees are generally 50 per cent to 60 per cent less than privately funded agencies.